Great article on Xirrus- well done, Sam. “The results speak for themselves.” They do not speak to me. Perhaps if I was an Ekahau user, I would know how to interpret the figure that has no caption. But from this perspective, the Emperor has no clothes. I am not questioning the technical conclusion because I don’t understand it. If this is supposed to be an example of good journalism, not so much. This does look like important work — which is why I tried to read it forward and backwards. I’d like to understand it. 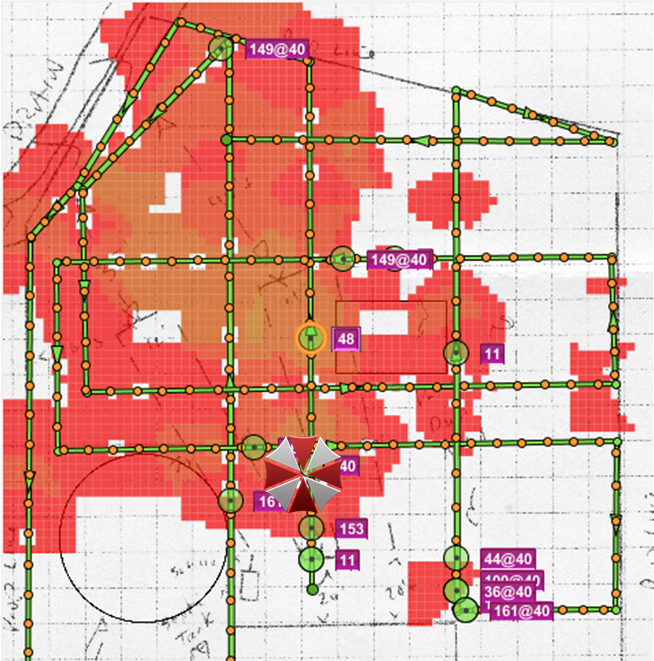 The image with the survey heat map shows the actual coverage from a single radio inside of the Xirrus Array. Since it shows a high degree of directionality (it’s not a circle, it’s a wedge), this was what I was trying to articulate. Thanks for the feedback and sorry for the mis-reply! Jim, are you a WLAN worker at any level? That’s the backdrop here, its a blog about wireless networking and not so much a place for journalistic excellence. Sam, did your replies get crossed? I don’t think you were talking to me.